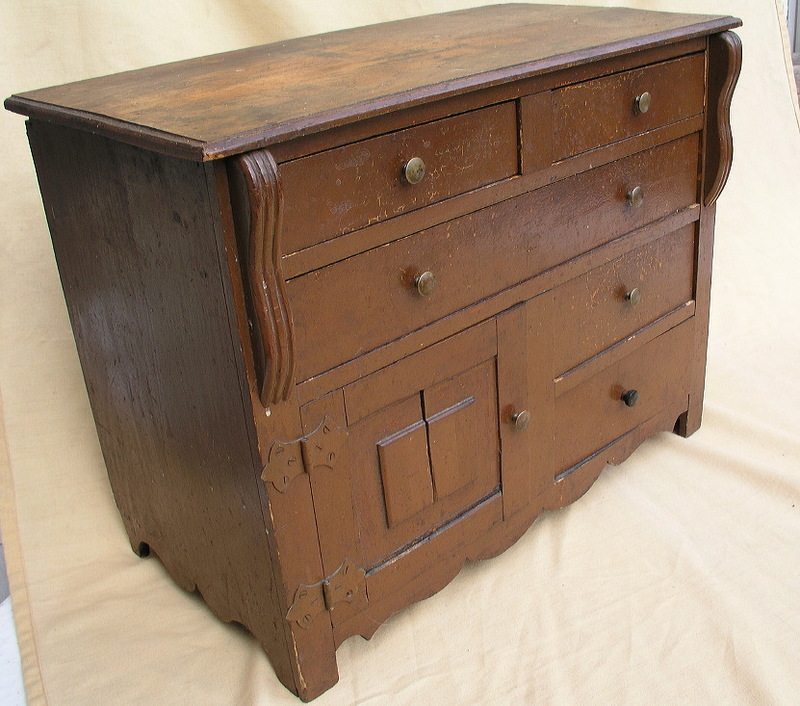 Great form and untouched original surface on this chid's sideboard or washstand from Quebec. Hinges obviously changed on door. As found. No backboard. Circa 1870. 24 1/2"w, 13"d., 18 1/2" t.